The British Pie Awards are firmly etched in our pie calendar. 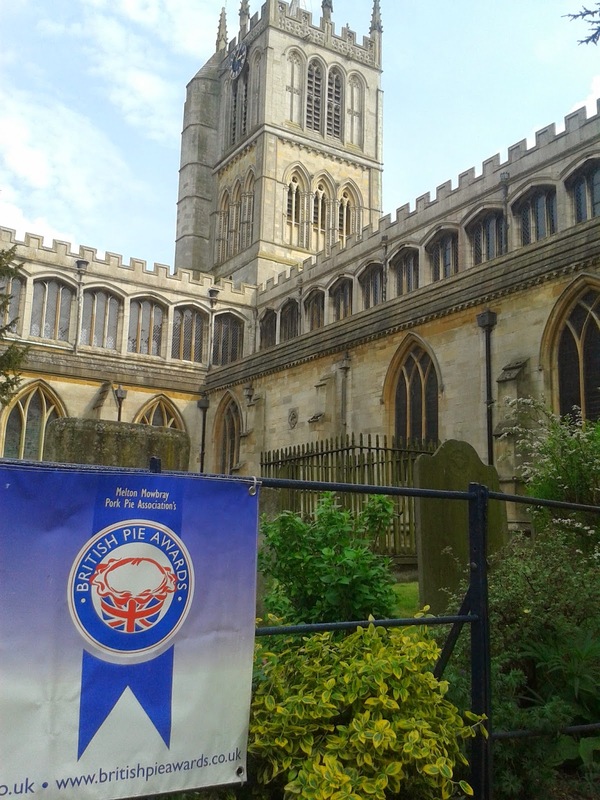 Held in St Mary’s Church in the heart of Melton Mowbray, it is a spectacular setting in the home of the pork pie. However this year is extra special, as the top awards in pie are being held in none other than British Pie Week itself, with the judging taking place on Wednesday 9th March and the Award's Lunch taking place on Friday 11th March. 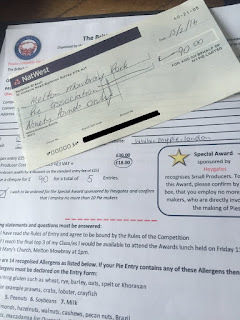 And with them once again expecting over 100 judges to rate over 800 pies from across Britain and beyond, you won't be surprised to know we've been called up again this year, having been a judge at the British Pie Awards last year and in 2014, plus volunteer helpers at the awards in 2013. 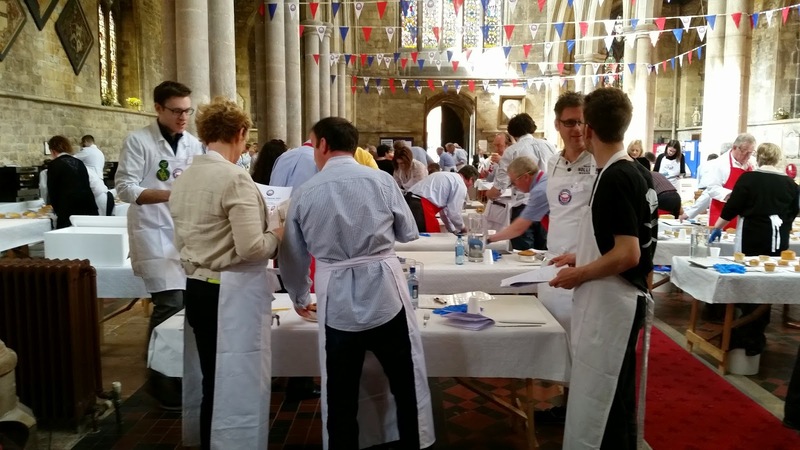 Yes, following Pierateer Tim judging in 2014 and Pierateer Sam judging in 2015, we have been called in again to lend our pie rating skills to the com-pie-tition, alongside TV chef Andy Bates, food critic Charles Campion and food writer Rachel Green. And while the British Pie Awards use a significantly different set of criteria to us, rather than the 7 Cs of pie rating that we have used to rate over 500 pies on Pierate, there are very few pie experts they could call on with more ex-pie-rience than us when it comes to the pie-fect pie judge! Last year was an exciting year for Pierate at the British Pie Awards, with over 1,000 of you viewing our live blogging from the pie event of the year, alongside over 2,000 viewers of our British Pie Awards review and photo archive! And this year we will once again be covering the event live, with Pierateers Sam and Tim joining this year's judge Pierateer Rob, who you may recognise from TV shows "The Great British Bake Off: An Extra Slice" and "Rip Off Britain: Food". 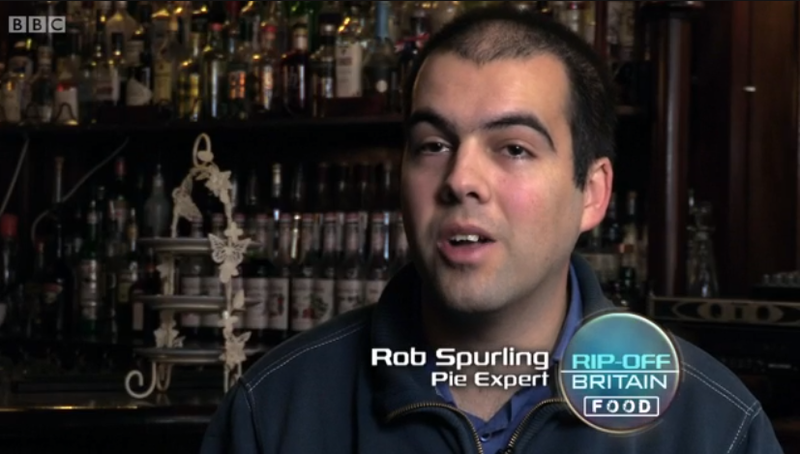 Have you seen British Pie Awards 2014 winner Graham and our very own Pierateer Rob talk football pies on BBC One's hit show Rip Off Britain? If not, click here to find out more! So what have we got to look forward to at the British Pie Awards 2016? Well... following the success of our Countdown to British Pie Week, here's our Countdown timer to the British Pie Awards 2016, happening on Wednesday 9th March at 11am! A Pie Fit For The Queen! 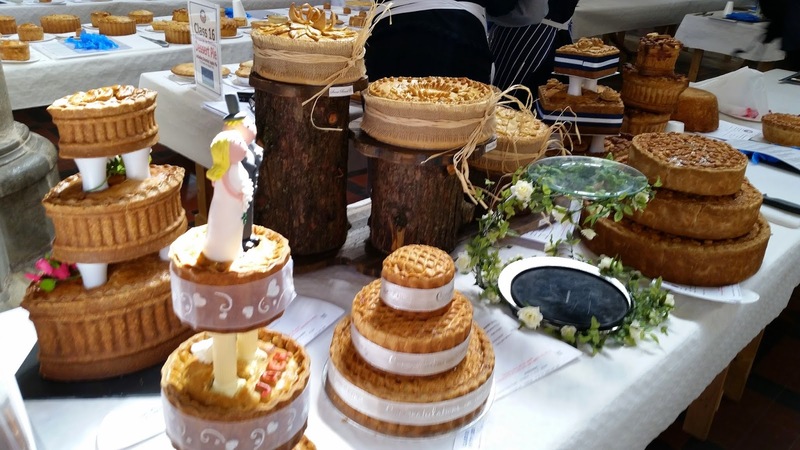 We're looking forward to once again seeing what pie producers come up with in the Speciality Class, following an amazing selection of entries in last year's Speciality Class of Bridal Pies! This year we're hoping for some royally good entries, with the Speciality Class being A Pie Fit For The Queen! Only the best can be served to the Queen, so we look forward to seeing how entrants take on the challenge this year! Which pie company will get a "Roasting"?! MyPie London have got their entry in! We're delighted to hear that our top pie producer of 2015 - London-based "MyPie" - have got their entry in for the British Pie Awards 2016! Chris' pies have received some exceptional ratings on the 7 Cs of pie rating, including a top 3 rated pie with 6.61/7 for his Steak and Ale pie and a batch of Pierate Highly Recommended pies in our most recent MyPie reviews! Also the Russians are back, with Cossack Cuisine looking to follow up their Bronze Award last year with even more entries this year! This follows on from the first Dutch pie entries last year, as The Pie Shop in the Netherlands entered two pies into the British Pie Awards 2015, which we were fortunate to get our hands on too and review! We're also excited to hear that the British Pie Awards have teamed up with Roast Restaurant in London, who are on board as sponsors of the Supreme Champion Award, plus have agreed to have one of the winning pies listed on their menu. This is fantastic and a great opportunity for a pie producer and we can't wait to sample it in London when the winner is on their menu! And if you want a flavour of the British Pie Awards check out our interview with Andy Bates last year, who you will recognise from the Food Network TV Channel. 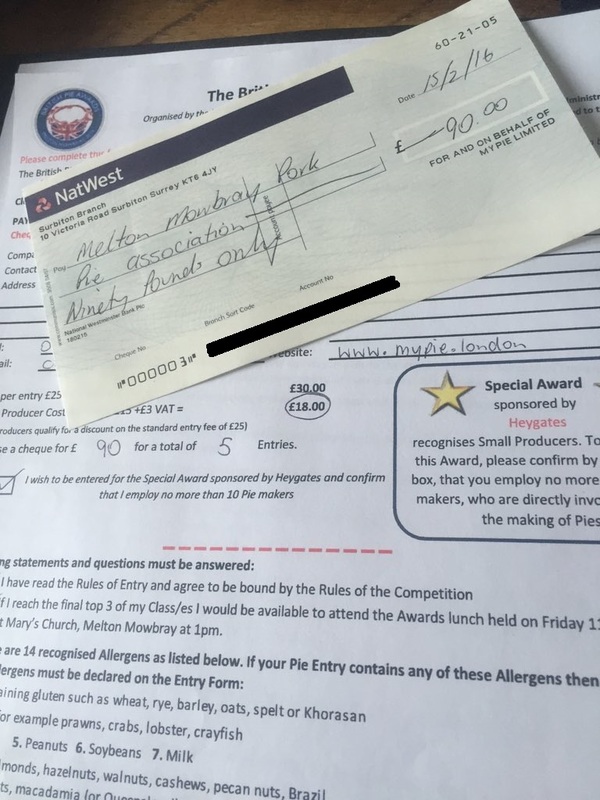 Andy was compere of the British Pie Awards Lunch last year, which involved announcing the class winners and handing out the trophies on results day. You won't be surprised to hear we will once again be covering the event and providing regular tweet updates from Melton Mowbray as we once again get involved in the greatest pie show on Earth, so check back on Wednesday 9th March for more pies than you can possible imagine!